Last night we went and saw Transformers II . I was amazed at how packed it still was, at 9 pm on a Thursday. 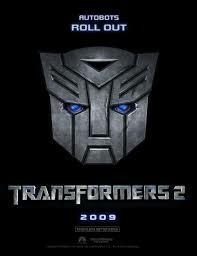 The movie was pretty good, of course its nothing compared to the first one unless your a die hard fan. (Like James is) It was funny and entertaining, I just wish they would leave out some of the sexual innuendos. Those always get just awkward laughs out of the audience instead of the good old belly laughs. It was really fun and as you can see James dressed up in his shirt hat and belt buckle. Oh and the old school basketball shoes, he wore because they are red. I love my kid of a husband!! This weekend we are starting our fireworks stand with some friends. Its through TNT, so hopefully we can make a little extra cash this next week. Wish us luck and we hope everyone has a fun and safe 4th of JULY!! !